Talent Propeller: Are you firing blanks when it comes to recruiting talent? Are you firing blanks when it comes to recruiting talent? When looking for the perfect candidate to join your team, it’s easy to get carried away with a list of what’s important to YOU. But at the end of the day, a job advert is just that, an advert. Like all good marketing prose, you should be writing for the person reading your job ad. Potentially, your next employee of the month! If you’re not offering the information that’s important to them, you could lose them right then and there. 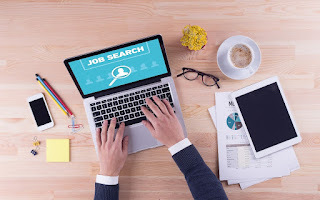 So what can you do to ensure your job ads are getting the attention they deserve? Easy. Give the people what they want. Here’s a list of the most important things candidates want to see in your employment ads. Some of the first questions anyone will ask themselves before applying for a job are all about location. How far is it to travel? Is it close to home? How will I get there? So it stands to reason that over three quarters (77%) of candidates think it is vital to include the location of the role in your ads. Unless you feel like sifting through a mountain of candidates from all over the world, we highly recommend sharing this information with your potential talent. Nobody wants to be in over their heads. And you certainly don’t want to hire a new recruit that’s not up for the job. The best thing you can do when looking for the perfect candidate is to communicate as clearly as possible about what the role entails. In fact, 71% of candidates are put off applying for jobs that didn’t paint a good enough picture of the advertised job. While 66% said that a missing or inaccurate job title discouraged their application altogether. Show the candidate that their unique skills can become an asset to your team and you’re much more likely to attract the best possible talent. After all, if they feel like they can’t bring anything to the table, why would they apply? Leaving out the name of your company could discourage up to 67% of your talent pool. As we keep saying, today’s candidates will apply to firms they want to work for and ignore those they don’t. If you have a great employer brand, you should capitalise on it. Talking about money is never easy. But on the other hand, you don’t want to waste their time and yours by going through an interview only to find you are mismatched. That’s why it’s up to you to give the candidate an idea of what they’re worth to your company. An overwhelming 86% of all candidates feel that no salary information means no when it came to progressing their application. In fact, most people are keen to enhance their pay rate. Which is why over 60% of candidates would also like to see what benefits your company can offer them, and an enticing salary could be quite a motivator. It’s likely that the best talent has already been snapped up by another company. But what if your business is a more attractive option? You’ll never entice potential recruits away from their current positions if you don’t show them that the grass can be greener on the other side. So the next time you’re looking for your next superstar recruit, remember that it’s a two way street. Sure, your business is important; but you’ll never get past first base with the best talent if you’re not giving them what they want in your employment ads. If you are keen for more info on what Talent Propeller can do for you, then let’s talk. *Stats from Hudson 2020 report candidate.